Jesse and Dylan wrap up the podcast! It’s a little sad, but it’s a great trip down memory lane. We talk about what we’ve done, how we’ve grown, and how things have changed since then, and thank just about everybody we can think of. As always, there’s lots of laughs and tangents, so it should fun to listen to. So for one last time: Get in the Loop! We’re nearing the end of a tumultuous summer, but Jesse and Dylan are back on the board covering the dual EP release of long-time AFL favourites Charlie McKittrick and Jamie Reaume. Four tracks apiece, ranging all over the map with two distinct takes on the themes of love and loss that manage to blend remarkably into a cohesive whole. We’ve never heard anything like it and odds are neither have you. So check it out! Torontonian by way of Barcelona, J Mann’s third release Ten Animals creates ambience and romance, contrasting themes of partnership, competition and social commentary through scenic forest folk tunes and audible season changes. It’s washy watercolour pallette is perfect for a late June afternoon. Get in the loop! Ottawa’s Rich Chris has plenty of experience in a full band sound, but on his acoustic debut Tales of Nostalgia, things get stripped down. It’s a journalistic look back at all the ways we grow and change in our 20’s, with a quick paced guitar and pop-punk vocal as your guide. Great for a cottage road trip or a night of reminiscing, this simple yet effective release is fun, loud and pleasantly surprising. Get in the loop! An ecclectic collective of adult contemporary pop rock is on the docket today with Lo Fi Mind’s Vol.2. There’s a little something for everyone, from country to new soul, beach vibes and groovy rhythms, and 4 vastly different vocalists bringing the full band sound to life. 11+ members at any given time makes for an intricate, complex array of arrangements that explore life beyond youth, the bittersweetness of love and the wisdom that comes only with time. Get in the loop! On today’s episode we have Toronto rock band Bike Thiefs and their most recent five-track recording “Lean Into It.” They bill themselves as quote “grammatically inept three-piece rock band,” but that’s where the ineptitude ends; it’s loud and messy, but it’s also heartfelt and emotional. Punk-adjacent alt rock with a biting attitude and strong poetry, it’s surely not to be missed. Neo-soul, funk, disco, R & B… Jeff Eager’s Bonavista has it all. Dancy groovy hits, an ode to Toronto’s beloved Hideout and this generation’s Isn’t She Lovely (Once in a While) are all on the horizon of this slick, soulful record. Plenty of flange guitar tones and shades of Stevie Wonder, Prince and Lenny Kravitz make this an instant classic. Get in the loop! We’ve made fans and friends across the globe, so today we share selected tracks from 3 such bands. Shun The Raven, Eyeball and The Romeo Knights span heavy metal rock, ambient pastel acid trips and contemporary pop rock. A great sample platter for discovering new tunes. Check them all out and get in the loop! Nova Scotia born Ben Edwards takes us through a blues-inspired soft rock story of longing, wanderlust, melancholy and ultimately hope. Acoustic guitars, gently gruff vocals and vibes of Coldplay, U2 and Daughtry fill out this early release Bright Light Catastrophe while his latest single serves as a fitting epilogue. Get into it! 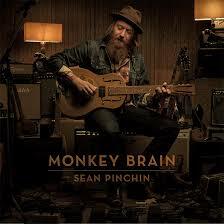 Modern blues, hints of country and plenty of stomps and slide guitars, we listened to Sean Pinchin‘s Juno award winning Monkey Brain. It’s whiskey heartache fun with a surprisingly accessible polished aesthetic that doesn’t undermine its grime. Get in the loop!